Some people may have some digestive concerns, or know that their diet makes them vulnerable to leaky gut but, as I do, still want to enjoy food and drinks. Having a symptom or habit that increases risk for leaky gut doesn’t mean you have it. Instead, you can take steps to keep your gut healthy to prevent it and other digestive conditions. I’ll be honest: even though I’ve been free from leaky gut, I splurge on foods that used to cause allergic reactions. I would drink a soda and have stomach pain for hours after. Now, though, while I can enjoy these things, I take them in moderation. I’ll occasionally take my own quiz just to keep my risk factors in check: if I start to reach the yellow ‘moderate’ zone, I’ll adjust my habits to bring it back into the green ‘low’ factor. Here are some other methods to stay healthy without completely sacrificing what you love. Stress: should be kept under control to help with proper digestion, healthy adrenal and immune function, and proper communication between the brain and gut. If stress is always at high levels, cortisol is released into the body which causes extra fat to build in the gut, and can also cause inflammation. Adrenals and immunity can get rundown from constant stress. Proper sleep is another factor to reduce stress. Laying down for a “cat nap,” taking even three minutes a day to meditate and center yourself, or taking natural adaptogenic herbs to help balance stress response will help the gut stay healthy. Eating: When eating, try not to do work, watch television, or engage in any other activity aside from chatting around a table (texting on the phone does not count). Concentrate on the food’s flavor, and take small bites while making sure to chew down the food to a digestible mush. Swallowing whole bits, or concentrating on something else, can create more stress on the body to break down nutrients. Self-Awareness: Unseen forces, such as candida overgrowth or parasites, may be harming your gut without your awareness. Candida overgrowth is often felt through yeast infections, including thrush, skin rashes, vaginal infections, or even just bloating or cramping in the stomach. Parasites often have similar symptoms: bloating, cramping, diarrhea or constipation. If you feel something is off with your body, and your diet and stress levels are good, then consider testing for either one or both of these. As the saying goes, trust your gut. Consume in Moderation, if at all. Grains and Gluten: I’d first like to address one of the growing controversies for leaky gut and other health concerns: grains, including wheat, gluten, oatmeal, beans, and more. Paleo diet followers believe that flour, oatmeal, and other grains were not eaten by our ancestors, and consuming them causes irritation and inflammation to the gut. People may want to cut grains out completely, however for vegetarians or those on a limited budget, this can be difficult. Should grains be avoided to prevent leaky gut? My answer: no. In August, 2015, National Academy of Sciences published (online) findings by Anthropologists in Italy who discovered grinding stones with flour residue from hunter-gatherers. This means that yes, our ancestors did consume grains. They have important nutrients such as fiber and amino acids, but is often over-consumed in western society. If intestinal permeability develops, excessive intake of wheat and gluten means more particles escape into the blood stream and create allergic reactions. Grains, and for that matter seeds such as quinoa and legumes, are one of the main nutrients that people often have to remove from eating after they’ve determined increased intestinal permeability. If you’re worried about grains, enzymes are available in pill form to provide support for breaking down the nutrients. Sprouted and fermented grains are another option for easier absorption. Much of the controversy with grains, especially gluten, is that factories remove parts of the seed or plant and enrich it with often synthetic ingredients, such as “enriched flour,” which has b vitamins added, however the flour is not in its purist form. This would be like buying apples with the juice sucked out and water added in. Another school of thought is the fibrous particles contain anti-nutrients: substances that create digestive problems. My personal concern with this ideasis that while, yes, isolated substances found in wheat and other foods may potentially harm the gut, whole foods work together with their nutrients, enzymes, and genetic makeup to allow our body to consume them. My main takeaway from the Paleo diet debate is, don’t be afraid of grains, but eat them in moderation, and consume all foods in their purest form. Dairy: Use in moderation. One argument is that pasteurized dairy destroys enzymes which are critical for properly breaking down the sugars in milk. Dairy is another common allergen developed through leaky gut, often by over consumption. Sugar: Added sugars, particularly in sodas and juice, are more difficult to digest. Sugar is food to candida and bad bacteria, thus promoting an unhealthy gut. Processed Foods: Packaged, premade foods may be convenient, but often contain ingredients that are not natural in the body. Food additives, especially in vegan products, such as coconut milk, also contain additives that can be tough to digest and run the risk of inflammation. Caffeine: Not only can excessive amounts of caffeine be harsh on the gut, it speeds up your heart and rewires your brain activity. This added stress on the body affects the adrenal glands, which then effects your immune system. Short jolts of energy are fine, but a constant flow of caffeine means the body is working overtime. Alcohol: Too much alcohol can be difficult to digest, as the liver has to work overtime to remove the toxins. It can also inhibit hormones in the gut that regulate inflammation, and prevent proper nutrient absorption. Fermented Foods: These should be regularly incorporated into the diet. Unsweetened yogurt, kefir, sour kraut, and kimchi are common fermented foods that are easy to digest and provide probiotics to the body. See supplements for more information on probiotics. Coconut Anything: Oil, milk, water, and coconut meat are rich in different nutrients. I am personally a fan of coconut oil for its fatty acids, immune-supporting properties, and promotion of healthy metabolism. Coconut oil has healing properties, inside and out. The milk and meat are rich in nutrients, and the water makes an excellent electrolyte drink. Omegas: Fish–especially salmon–flax seeds, olive oil, chia seeds, and other foods are rich in omega 3 fatty acids, which help digestion and have anti-inflammatory properties. While all essential fatty acids (3. 6, 7 and 9 are the most well known) are important, people normally have enough 6 and 9 in their diet. Vegetables, Particularly Green: Rich sources of fiber with phytonutrients that help keep the body slightly alkaline, promote healthy immune function, and provide energy for the body. I like to eat vegetables both in raw or steamed forms, however some people feel they digest steamed better, while others believe in a raw food diet. Each preparation of veggies has different health benefits. Use in moderation, if at all. NSAIDs: Advil, ibuprofen, aspirin, and other over the counter pain medications may be used to reduce inflammation, but can actually cause digestive inflammation. Occasional use rarely has any negative impact on the body, however excessive and extended use can become problematic. Antibiotics: These kill ALL bacteria, including the beneficial strains found in probiotics. Long term use of antibiotics allows bad bacteria to build up faster in the gut, which then creates inflammation and a higher risk for leaky gut. Consider taking probiotics either 2 to 4 hours after an antibiotic, or after antibiotics are finished, to replace the good bacteria and keep the bad in check. Probiotics: a must for people to help the gut prevent excessive bacteria, candida, and other pathogens from causing inflammation or weakening the immune system. Growing up, I just thought symptoms of yeast infections were normal, and since I was too shy to ask otherwise, and wasn’t sexually active, I didn’t worry about it until I went to the ER from a vaginal bacterial infection. This, while fighting leaky gut, didn’t help me at all, as I had to take antibiotics–which caused nausea and vomiting at times. When I learned about probiotics, I started with the cheapest one, and then would try expensive options as well. Some made a small difference for a short period of time, but I still had minor yeast infections. I take Canxida Restore now, as it’s the only formula where I notice the best difference in my body, and it keeps my yeast completely in check. Ensure that probiotics are multi-strained, and do not take over 50 billion on a regular basis without talking to your doctor or naturopath, as excessive good bacteria can cause SIBO: an imbalance of beneficial strains that fight each other and disrupt healthy gut function. Think of probiotics as an ideal 80-20 ratio: 80% good, 20% bad. Zinc: important for intestinal lining strength. Inflammatory Bowel Diseases published a study in 2001 demonstrating zinc’s ability to tighten the cells in patients with Crohn’s disease with 110mg of zinc sulfate taken three times daily. Leaky gut patients find that zinc, along with B12 and iron, are often malabsorbed in the body. 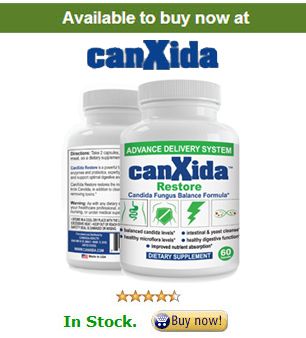 Candida overgrowth can send out receptors to pull out zinc from the body and destroy it. Generally, up to 30mg of extra zinc per day is safe for individuals already in a healthy range. Soluble Fiber: If you don’t believe you’re getting enough in your diet, add some in. Fiber deficiency increases risk for leaky gut by allowing waste material to backup in the body, which causes inflammation. L-Glutamine: An amino acid used in fitness and body builders for quick recovery and anti-inflammatory properties, this is also a critical nutrient for gut health, and may actually repair damaged gut lining. Ultimately, balance is key for preventing leaky gut. Moderation with eating a variety of healthy foods and avoiding overconsumption, and balance in lifestyle choices can be compared to the Chinese Ying and Yang symbol: every good needs a little bad, and visa versa.